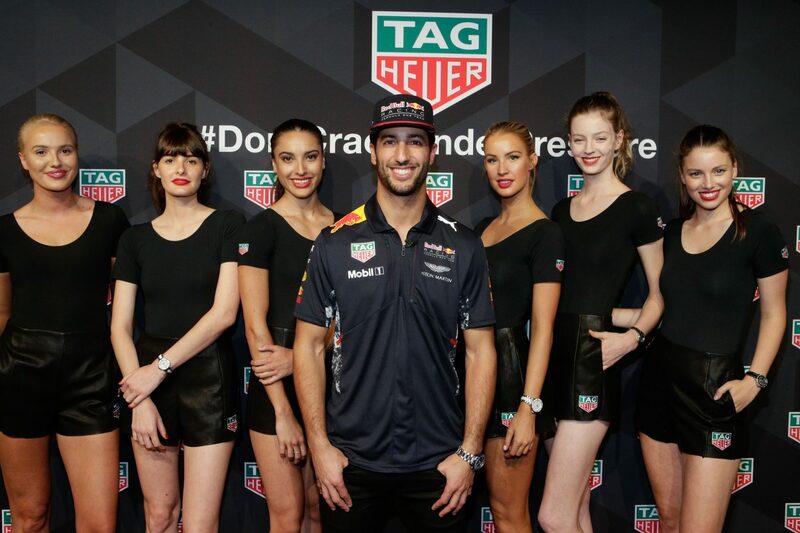 TAG Heuer held its highly anticipated Grand Prix cocktail event with special guest appearance by Formula 1 champion Daniel Ricciardo, to celebrate the brand’s second year of partnership with the Red Bull Racing Formula 1 Team and the start of the 2017 Formula 1 season. Ricciardo headlined the star-studded guest list of high profile Australians at Melbourne’s hottest new venue, The Glasshouse. Guests included TV Actress Erika Heynatz, musician Anthony Callea, TV Host Kate Peck, sporting stars Scott Pendlebury, Anthony Minichello, Ed Jenkins, Mark Bresciano, Archie Thompson, Peter Siddle, and Lydia Lassila. 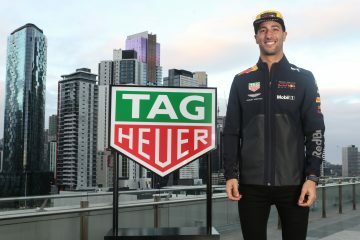 Ricciardo joined MC, renown Australian sports journalist, Mark Beretta, on stage to talk about the dynamic TAG Heuer partnership and his excitement to be racing back on home soil this week for Red Bull Racing Formula 1 Team. Then in a nod to Daniel’s love of football, former Socceroo and legend of the game, Mark Bresciano presented Daniel with a personalised “Ricciardo” Socceroos jersey – a gesture to wish him luck on home turf as the Socceroos prepare to take on Iraq in Tehran on the same weekend as the Australian Grand Prix. 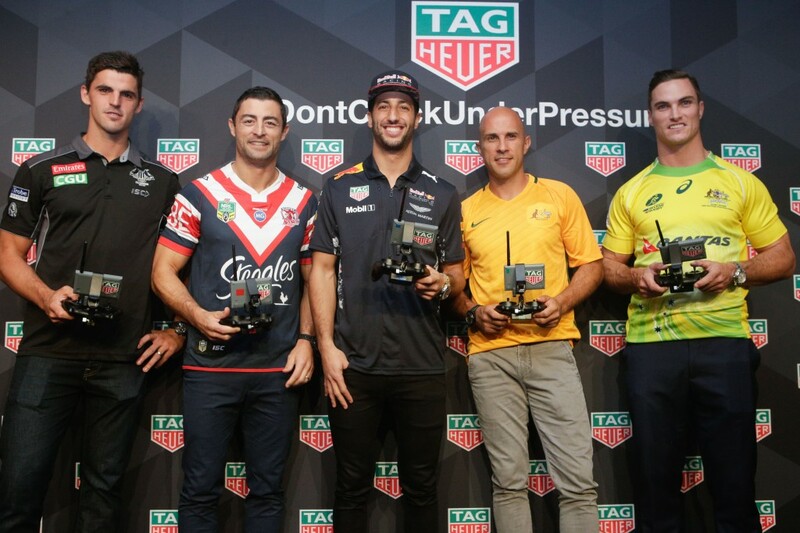 In the spirit of TAG Heuer’s iconic “Don’t Crack Under Pressure” motto, it was then fitting that Ricciardo was challenged to compete against a field of high profile Australian football players – across all codes- in a specialized drone race. To the delight of all, and in an unsuspecting twist, the back wall of the stage opened way to unveil the custom-built TAG Heuer race circuit. For Ricciardo, taking on football legends – AFL’s Scott Pendlebury, NRL’s Anthony Minichiello, Rugby Sevens star Ed Jenkins and former Socceroo player Mark Bresciano, was always going to be tough. It proved to be a hard-hitting race on a challenging circuit with Daniel proving he did not crack under pressure – flying his drone home with his true Ricciardo flare and cheeky sense of humour. The event also marked the launch of the new TAG Heuer Carrera Heuer 01 Red Bull Racing Special Edition. The prestigious in-house Heuer 01 movement combined with the skeletonised dial and codes of Red Bull Racing make this watch an exceptional and unique timepiece. 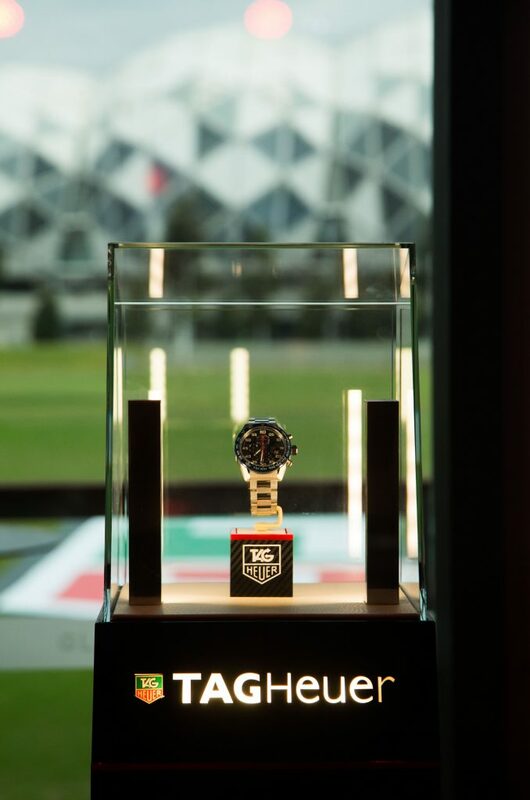 Visit www.tagheuer.com.au for more information.